The Carlisle 4132302 Spectrum® tile and grout brush has crimped polyester bristles that efficiently remove dirt, grime, and residue. Its comfortable plastic handle can be gripped two different ways with its unique design. 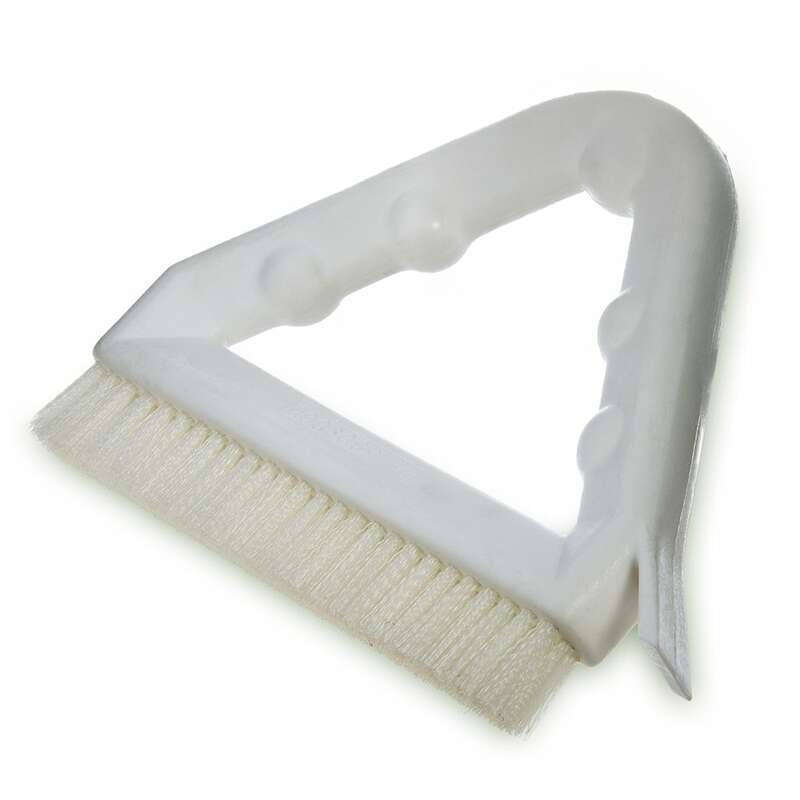 A built-in scraper on the handle helps remove stuck-on stains. 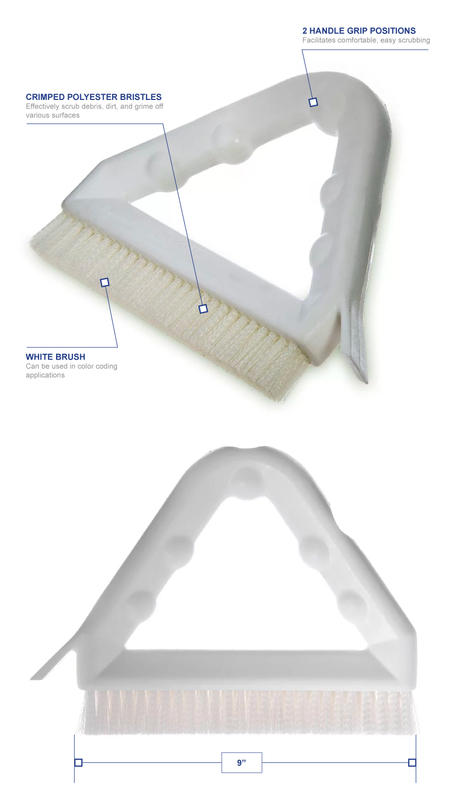 Different threaded handles can be attached, and, since the Carlisle 4132302 Spectrum tile and grout brush is white, it can be utilized in color-coded systems. "My order came quickly and I got exactly what I ordered. How can that be anything but a five star transaction? Thank you"